Fifty miles south of Zuni Pueblo, New Mexico, there sits a shallow saline lake that is also the mother of the Zuni people. She is Ma’l Oyattsik’i, sometimes translated as “Old Lady Salt” (Tedlock) or “Salt Woman.” The Zuni people consider this body of water a sacred being, and it is a revered site for other First Nations peoples, including neighboring Navajo and Apache tribes. According to the Zuni legend, Salt Woman used to live near Black Rock, New Mexico, about 45 miles away from her current home. She decided to move because she was displeased with some Zunis’ disrespectful behavior toward her sacred flesh (Tedlock 77). Today the Old Salt Mother is still a pilgrimage destination for several First Nations peoples. Their ancient trails traverse the land nearby, and indigenous men still make the journey to the lakeshore to pay Salt Mother respect in traditional religious ceremonies, ritually bathe themselves, and collect her sacred flesh. 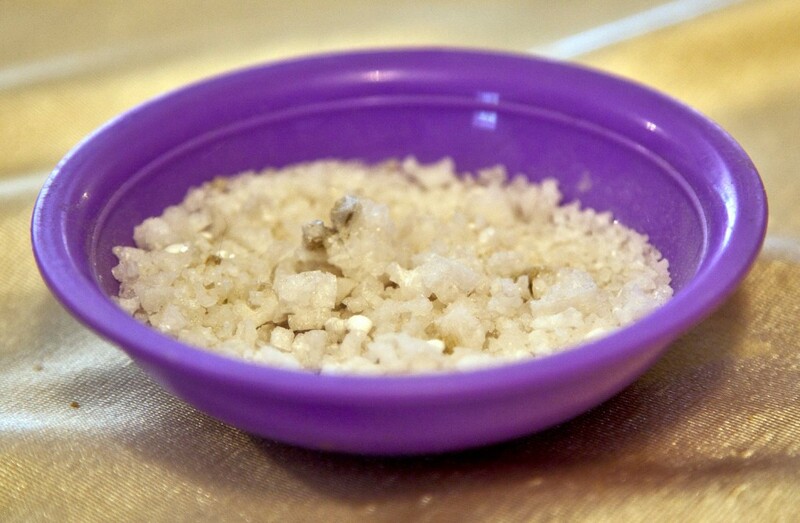 Salt from the lake is ceremonially harvested and used for religious rituals and cooking in the daily life of the Zuni people. This sacred site has also been at the center of a decades-long battle over mineral and water rights. In 1986, the Salt River Project, one of the nation’s largest electrical companies, submitted a proposal for a new coal strip mine twelve miles from the lake. This proposal included plans for a railroad line that would intersect with several pilgrimage trails, documented graves, and other sacred sites nearby. The Salt River Project also planned to build new wells to pump water at the rate of 85 gallons per minute from underground aquifers near Zuni Salt Lake for use in settling coal dust. The aquifer and surrounding springs supply Zuni Salt Lake, and without this water source, some scientists and Zuni spokespeople claim the lake would dry up and the ecosystem would be irreparably damaged, obliterating the Old Salt Woman and the ceremonies surrounding her. The proposal remained unresolved until 2002, when the Department of the Interior approved the Salt River Project’s strip mine plan, simultaneously motivating a reactionary movement in protest. 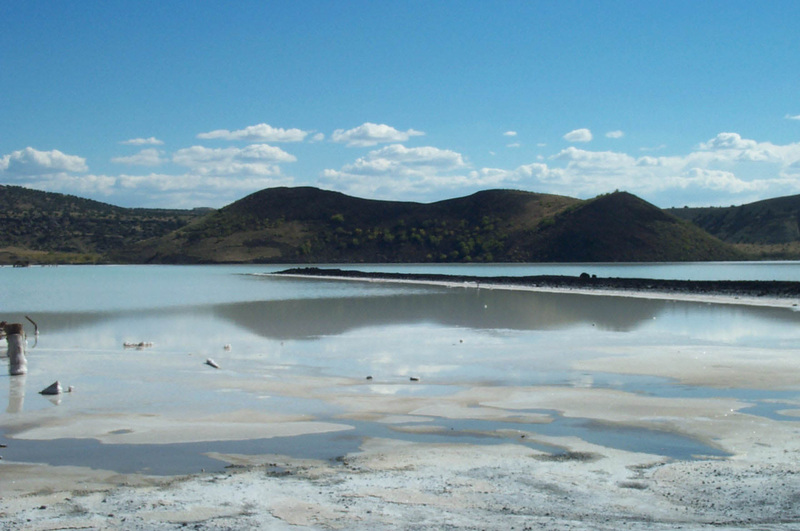 The threat of damage to the environment and several First Nations’ cultural and religious heritage inspired a grassroots resistance movement among several indigenous tribes, eventually forming the Zuni Salt Lake Coalition. "Taking aim at the lake"
This alliance between the Zuni tribe, the Sierra Club, and other environmental and Indian rights organizations worked together in the ensuing legal battles and local protests to draw attention to and protest the possible mining operation. Efforts by many groups and individuals resulted in growing protective statutes for the lake and surrounding area, including listing with the National Register of Historic Places (Read about its listing as one of the U.S.’s 11 most Endangered Historic Places here: http://www.preservationnation.org/travel-and-sites/sites/southwest-region/zuni-salt-lake-and-sanctuary-zone.html). In 2003, New Mexico’s governor, Bill Richardson, signed an Executive Order protecting this area, citing religious, cultural, historical, and environmental significance as reasons for greater governmental protection. 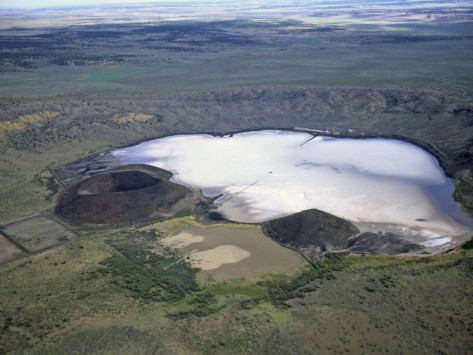 In August 2003, with pressure mounting to abandon their mining proposal, the Salt River Project announced its plans to relinquish the permits already issued and relocate to Wyoming, where the company would purchase coal instead of building a new mine. This represented a major success for the Zunis and other groups working for protection of this sacred site. Current laws, however, are still murky regarding the issuing of future permits and permanent protection for the area surrounding Zuni Salt Lake. In the case of Zuni Salt Lake, the grassroots partnerships and strong testimonies of tribal leaders and tribal attorneys helped ensure greater protection for this sacred lake. The protection was costly, however, draining tribal resources and necessitating prolonged participation in legal battles over an ancient Zuni site. In his testimony, Bowekaty also advocated for greater governmental responsibility in environmental supervision: “American Indians and Alaskan Natives protecting their sacred places should not have to carry the burden of proof with regard to environmental impact analysis for projects sponsored by federal agencies. The federal government must be more objective in its decisions and not bend toward industry.” Governor Bowekaty’s point about objectivity raises interesting questions of how the value of land is assessed and administered among groups with adverse interests. Bowekaty’s recommendation to the Senate that tribal governments have more direct involvement with land management, especially in the issuing of mineral and water use permits, might be a preventative measure for this kind of conflict in the future, but it doesn’t solve the problem of how to protect sacred lands. 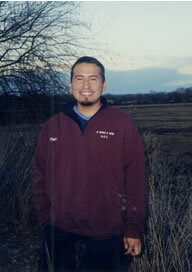 Student activist and Zuni environmental protection specialist Pablo Padilla points out that once people began bringing “higher values” to the forefront as the underlying issue, this case had more potential to form new patterns of management for other, similar disputes. Padilla said, “This was not a battle between Salt River Project and the Zuni Tribe, this was a battle of values. (On one side there were) energy resources, security, those sorts of things that are involved in producing electricity, and then (there were) the other values — having something sacred and holding onto it” (http://www.hcn.org/issues/267/14527). The ways in which the value of sacred sites is accommodated and protected by governmental policies sometimes intersects with other interests. 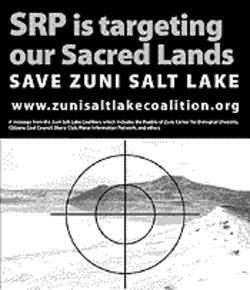 Part of this (Zuni Salt Lake Coalition’s) movement’s legal success in gaining greater protected status has to do with the combination of the cultural and religious interests of several First Nations tribes with more broadly applicable environmental concerns. Andy Bessler, a member of the Sierra Club and Zuni Salt Lake Coalition, noted, “This victory is a testament to the spirit of the Zuni people, other Native American tribes, and non-Native supporters who would not relinquish Salt Woman in the name of cheap coal. We can all breathe easier knowing that we have brought environmental justice to the tribes of the Southwest and stopped a dirty coal mine” (“Sacred Zuni Salt Lake”). In this case, the question of environmental justice is so deeply connected with religious rituals and cultural importance that these interests become almost inseparable despite the fact that they represent the needs of very different groups, one being the indigenous peoples’ religious traditions and the other being environmental activism. Bryan, Susan Montoya. “N.M. 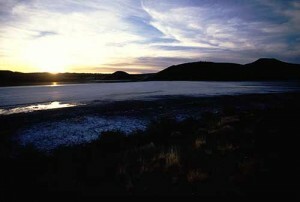 Agencies Step in for Sacred Lake.” Santa Fe New Mexican. Associated Press, 11 Nov. 2010. Web. 5 Nov. 2011. Corbin, Amy. “Zuni Salt Lake.” Sacred Land Film Project. 1 Nov. 2003. Dougherty, John. “Indian Ruin.” Phoenix New Times. 6 Feb. 2003. Web. 19 Nov. 2011. Search Complete. Web. 6 Nov. 2011. [Paonia, CO] 2 Feb. 2002. High Country News. Web. 6 Nov. 2011. “Sacred Zuni Salt Lake, New Mexico: Saved!” The Native Press.Com. Web. 11 Nov. 2011. Cong. (17 July 2002) (testimony of Malcolm B. Bowekaty). Print. Club. <http://www.sierraclub.org/planet/200307/zuni.asp>. 5 Nov. 2011. Hi! I camped near Cerro Prieto (did not get to see the ruins as it is on private property) the last two nights and drove by Zuni Salt Lake today. I have a couple questions. Do you know who I would contact to get permission to visit Zuni Salt Lake? Do you know who I would contact to get permission to visit Cerro Prieto? Do you have any information on Cerro Brujo and Cerro de las Mujeres? I would really like to know more about this area.